Start picking squares and bring your friend’s together to celebrate the Big Game. It’s free and easy to start playing, just make your picks before kickoff. 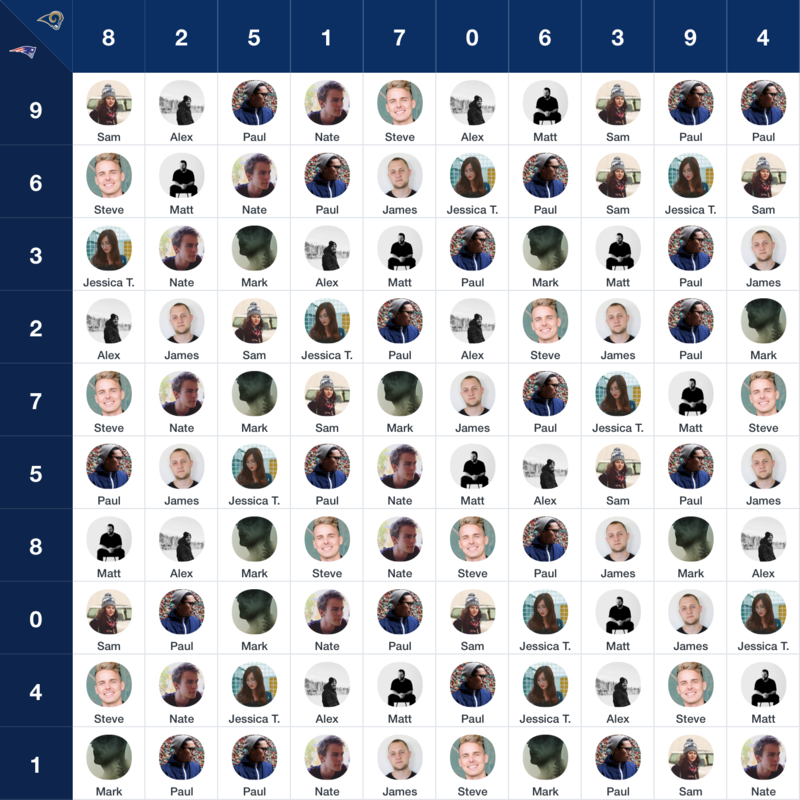 Invite your friends to predict which square will be a winner at the end of each quarter based on the score of each team playing in the Big Game. Learn more about Squares Pick’em here.